The Town of Williamston is named for West Allen Williams who discovered a mineral spring on his property around 1842. Williams determined that the spring possessed healing qualities and capitalized on his discovery. 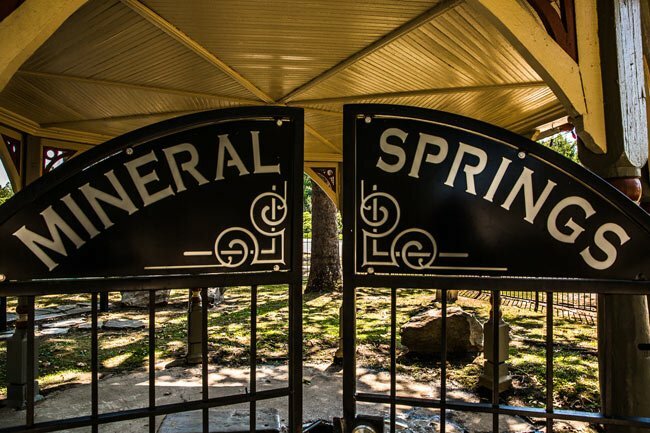 “Williams’ Spring” was advertised in the Anderson Gazette as early as 1845, and people flocked to Williams’ property and stayed in tents near the spring. When his spring proved to be a popular destination, Williams built a boarding house and a few cabins for out-of-town visitors, and in 1849 the Greenville and Columbia Railroad announced it would create a route by the spring. 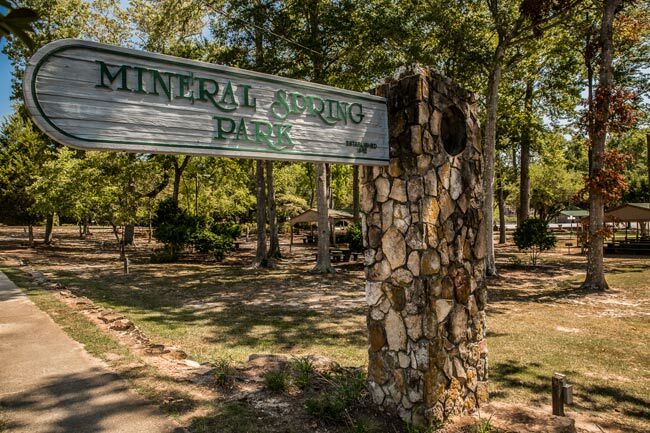 Williamston subsequently became a bustling resort and was initially called Mineral Springs. Williams generously donated this part of his land to the town for a public park, and the town changed its name to Williamston after receiving its charter in 1852. In addition to Williams’ boarding house and cabins, other accommodations soon cropped up, including the Williamston Hotel and the Mammoth Hotel. 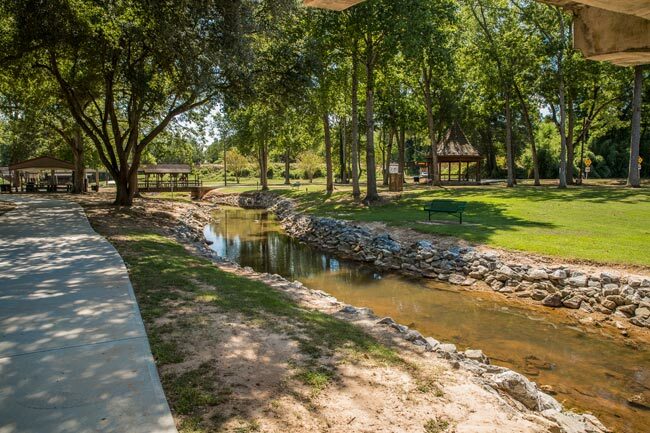 Williamston was even nicknamed the “Saratoga of the South” in reference to the popular resort spring in New York. Sadly, a great fire in 1860 destroyed many of the local buildings, including the hotels. Because the fire coincided with the beginning of the Civil War, the town had a difficult time rebuilding and never rebounded as a resort village. After the war, Dr. Samuel Lander established Williamston Female College – which later would become Lander University – across from the spring. The college opened in 1872. When the school relocated to Greenwood in 1904, the former school building became the Park View Hotel, named for its view of Mineral Spring Park. The town continued to see a resurgence of economic growth, and other hotels were built during this time. Around the turn of the twentieth century, the Williamston Carbonating Company began bottling ginger ale and other sodas from the mineral water that still flows through Williamston. 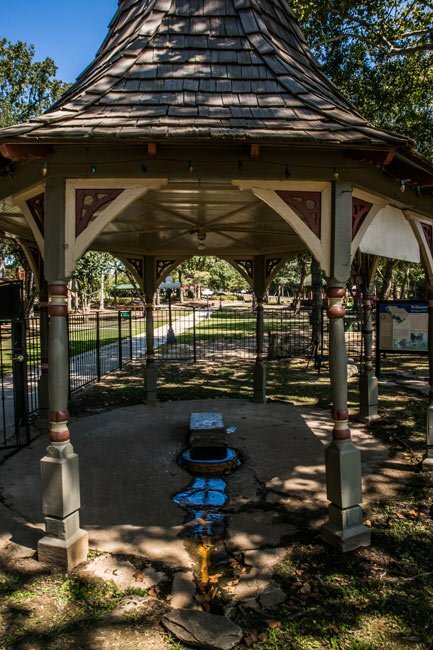 Today the park – complete with a playground and covered picnic shelters – is the site of several annual events held in Williamston, including Boo in the Park, held near Halloween, and the Springwater Festival, which occurs the last weekend of August. During the holiday season, the park is transformed into Williamston Christmas Park with elaborate lights and Christmas decorations. 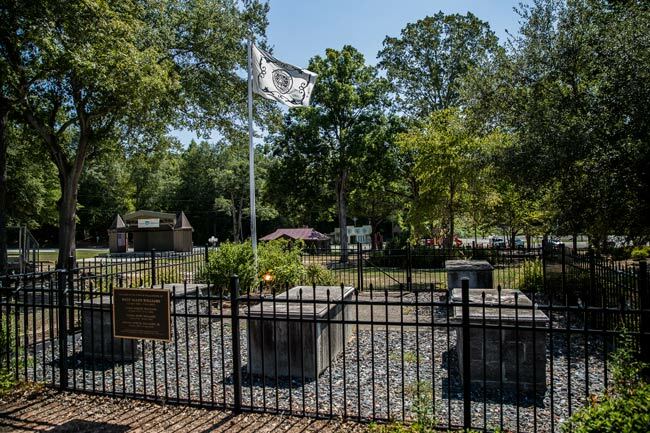 In 2002 the remains of town founder West Allen Williams were reinterred from his original resting place at his family home in Pelzer to a small, fenced family cemetery within the park. The remains of his parents and brother were also relocated to the park, as the original burial grounds were poorly maintained and had become overgrown. The original mausoleums were reassembled at the Williamston burial site, allowing the Williams family to rest within the town that West Allen Williams was instrumental in creating. We are not sure we follow, we do not see any of your photographs on the page? Some of the people who share their photographs with us are happy to share them elsewhere, in fact most are, but since it is work that they personally went and did, we allow them the right to choose where it would go. It is easy to seek permission and permission is necessary in order for us as a formal entity to even share images, so we extend the same courtesy to the photographers who share with us. It is not a bad thing.